Crash!Bang!Wallop! has all the things kids love!!! 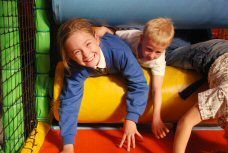 This is the Midlands biggest most thrilling indoor fun centre for children, an indoor adventure wonderland where children can spend hours of adventure and exploration. We have a giant main play area including firing cannons!, a double helix tunnel slide!, a huge wavy slide!, log ramps, bif bash and so much more! 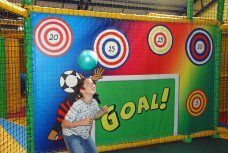 We also have our own football area, separate babies and toddler areas and the only interactive ball shower in the Midlands! 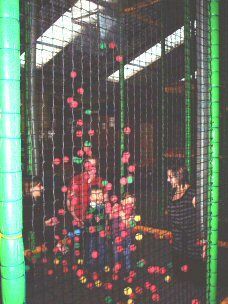 Why not have your childs party at Crash!Bang!Wallop! - they'll love it and we do parties all day every day! So whether you are 11 or only 1 year old we have something to excite! Our goal at Crash!Bang!Wallop! is to ensure every visitor has a great time and so we take a lot of pride in our very high standard of customer service. This is delivered through our staff who we have selected on the basis of their enthusiasm, energy and love of working with children. The safety of our guests is of paramount importance to us and so we have systems in place to ensure the highest of safety standards. Crash!Bang!Wallop! is regularly inspected and Safety approved by the Royal Society for the Prevention of Accidents (ROSPA) and by the local Environmental Health Department. 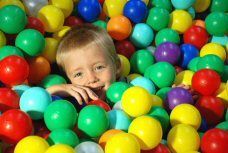 We also carry out our own daily safety inspections of all the play equipment within the facility. We have tried to create a real safe and positive family environment so come along and be sure to tell us what you think. Now working with: Chernobyl Children's Lifeline to raise money and awareness.